Pretty pink ocean jasper rectangular stone set on a free form copper setting. 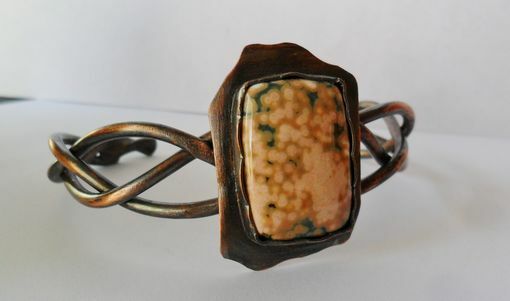 Thick gauge copper wire was braided and formed into a cuff bracelet for women. Choose your stone to make this cuff uniquely yours!